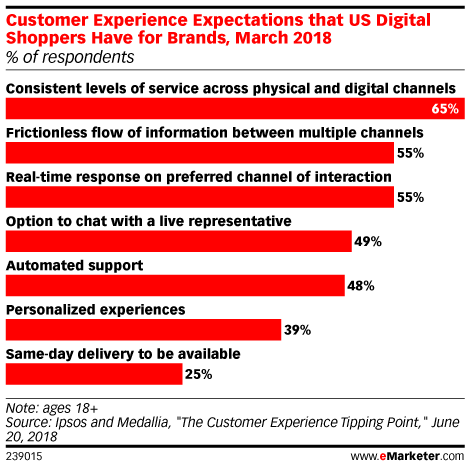 Data is from the June 2018 Ipsos and Medallia report titled "The Customer Experience Tipping Point." 8,002 internet users ages 18+ in France (n=2,000), Germany (n=2,000), the UK (n=2,000) and the US (n=2,002) were surveyed online during March 9-27, 2018. The collected sample was approximately matched to the census of each country on age and gender. The research was conducted online in the local language for each country, and respondents were incentivized to participate. Medallia is a customer experience company.